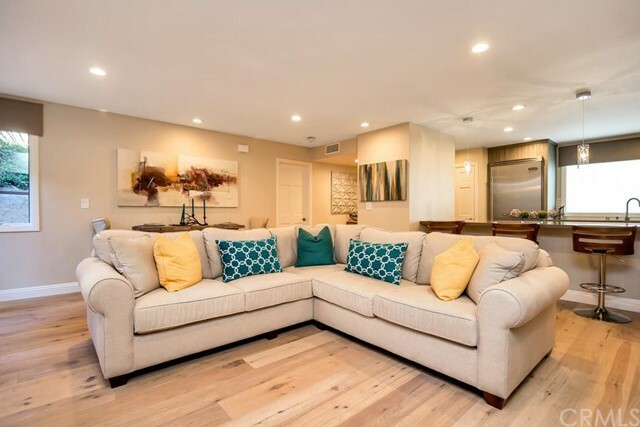 Located in the heart of Laguna Village, this three bedroom, two bathroom, 1500 square foot condo has just been recently upgraded with a sleek and sophisticated soft contemporary design. 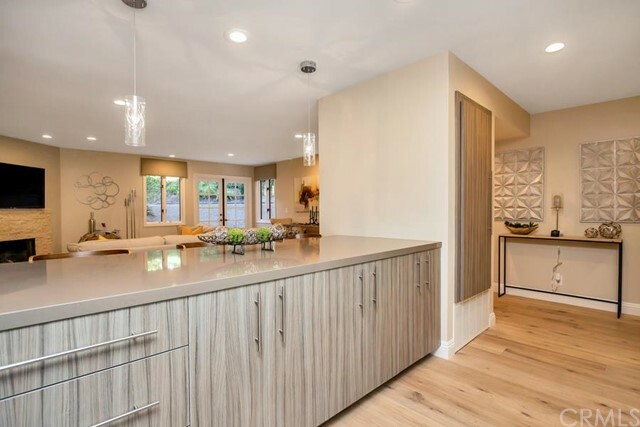 The brand new kitchen has an open feel and is equipped with timeless brushed stainless steel Viking Professional appliances, quartz counter tops, a Franke Europro stainless steal sink and Subway tile backsplash. There is wide plank Provenza “Old World Fossil Stone” flooring running throughout the entire single level unit with custom tile in both bathrooms. The master bathroom has been reconfigured with a full sized walk in shower with limestone wall tile and contrasting shower tray with Hansgrohe hardware and rain shower. There are many more upgrades, to many to mention but for the buyer looking for the ultimate quality in a turn key, Laguna Beach condominium, this is a must see. All you need to bring to this gorgeous property is your toothbrush and your swim suit because everything you see is included in the sale!